1. 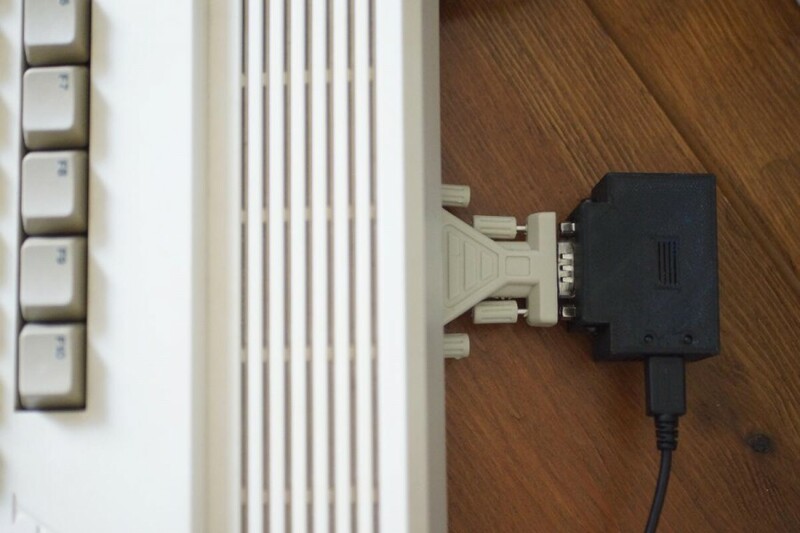 Simulant C64-UP9600 to RS232 Adaptor is designed mainly for the Commodore 64 to take advantage of the UP9600 software terminal drivers (such as StrikeTerm2014 includes) that allow a faster 9600 baud speed. 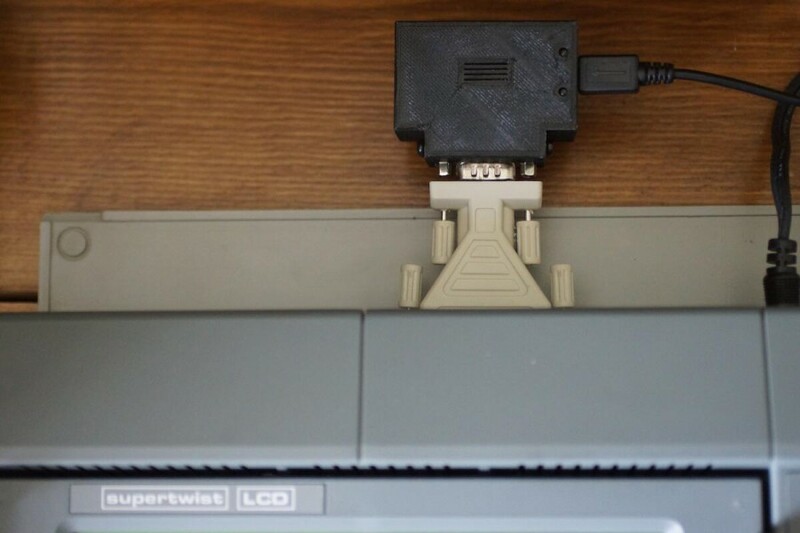 This adaptor does also work with C128 machines but has incompatibility with some external disk drives. UP9600 interferes with Burst Mode on the Commodore 128. 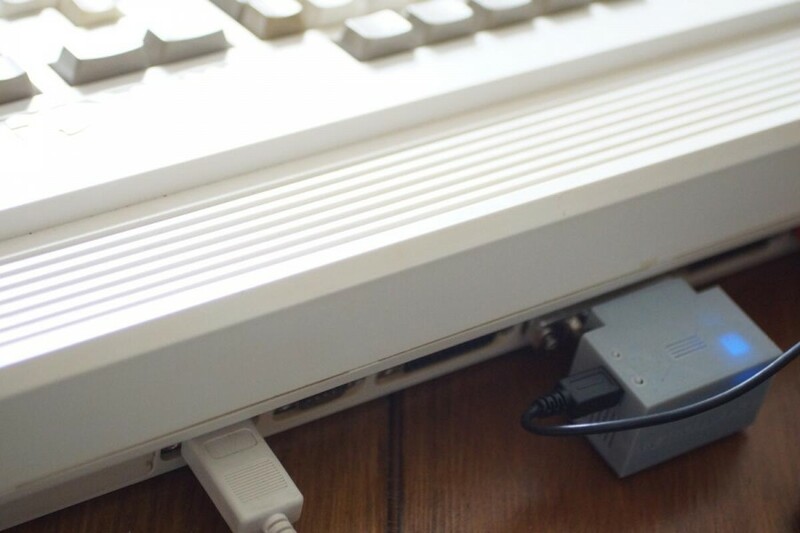 So if you choose this adaptor to allow faster speeds you won't be able to use any disk drives with the C128 that have Burst Mode, such as the 1571, 1581, or CMD drives etc. 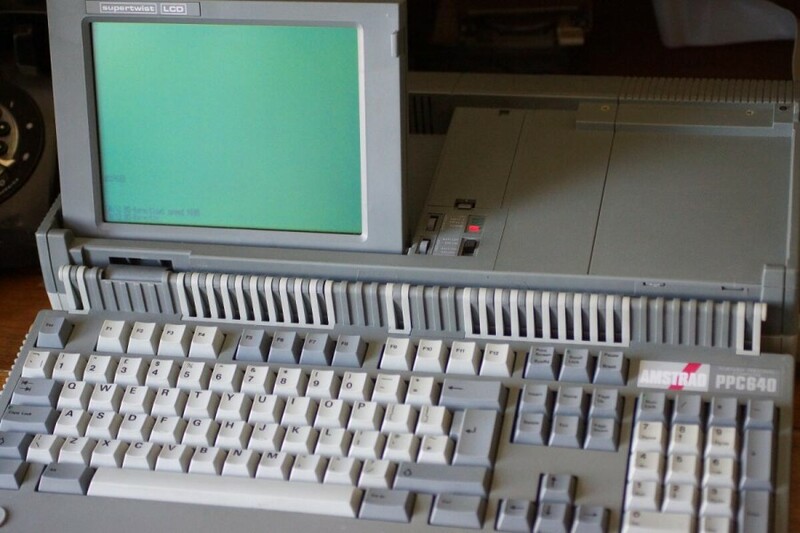 If you don't use disk drives or peripherals with Burst Mode then the UP9600 adaptor should still work fine on C128 computers. 2. 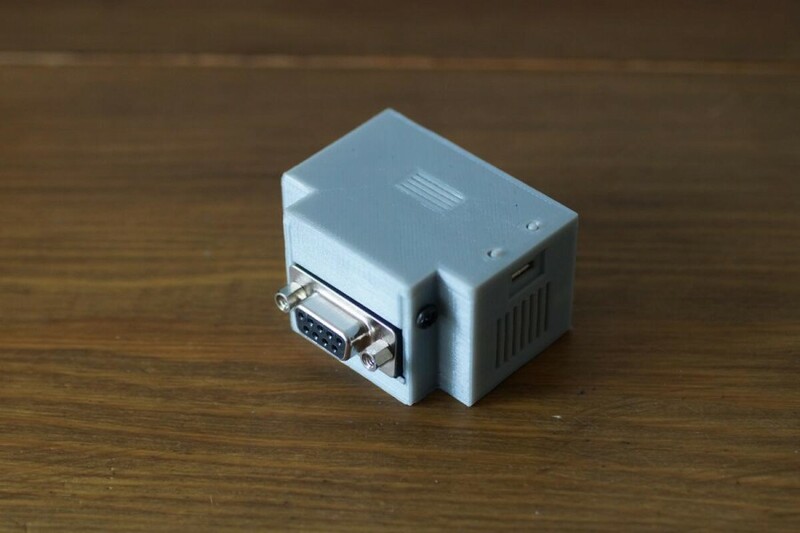 Simulant C128-User Port to RS232 Adaptor works with both Commodore 64 and Commodore 128 computers at the standard User Port rate speed of up-to 2400 baud. 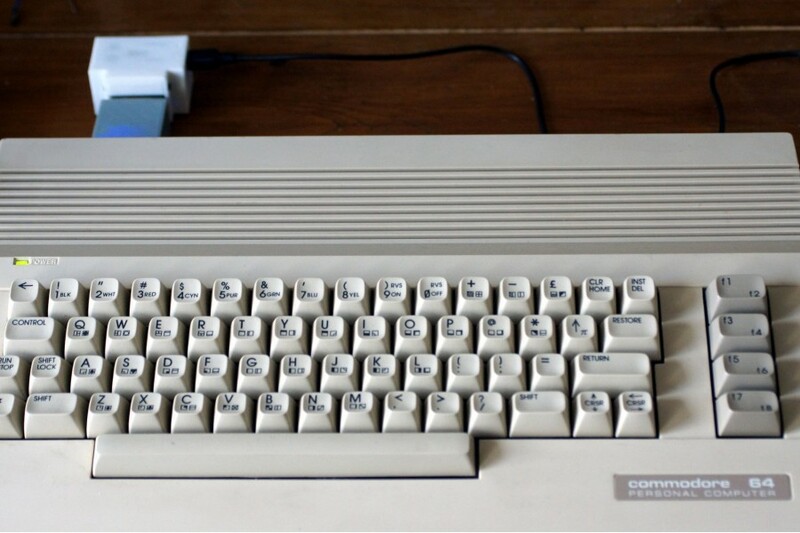 2400 baud was the default baud rate or speed that Commodore 64s and 128s were designed to use serial communications at. Retro Wifi SI - Internet and Wifi networking for old or retro computers with a serial port (or rs232). 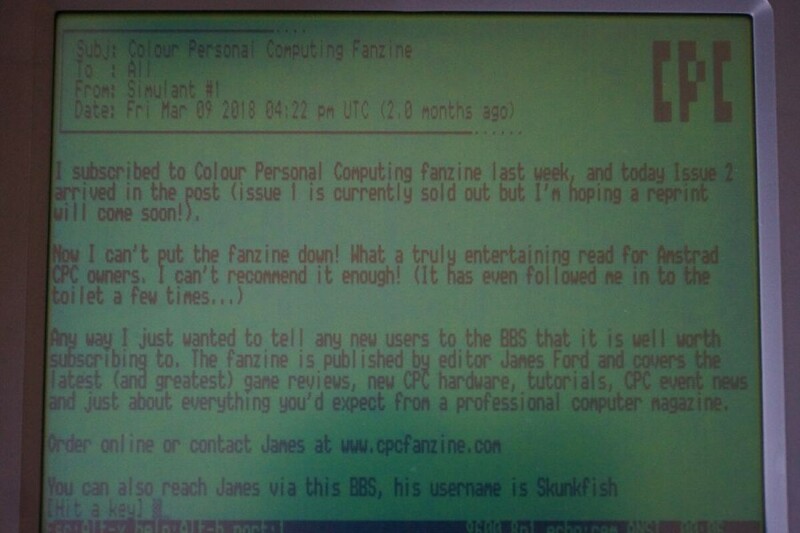 Get your old omputers online such as Amiga, Amstrad, Acorn, BBC, Apple, Atari, Commodore, DOS / Windows PCs, 286, 386, 486, IBM XT compatible PCs, MSX, Sinclair Spectrum, z80 Home Micro computers etc etc. Access the internet via Wifi on most types of older computers with a serial port. The Retro Wifi SI is a Hayes compatible Wifi modem for older computers and devices that have a serial port (or rs232 port). 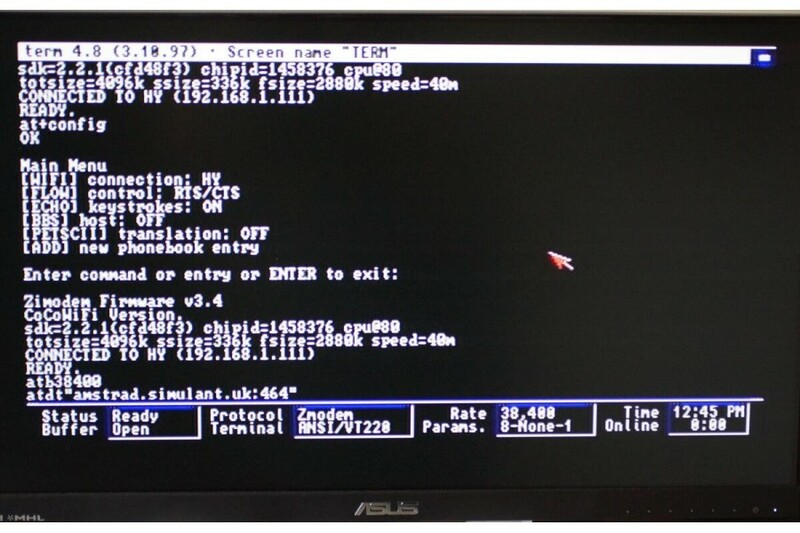 To enable your old computer with a serial port to connect to a Wifi router you will simply need any standard Terminal Emulator software (or Terminal) in order to type the AT commands and connect. Connect old computers with Serial port to Wifi either at home, work or in internet cafes/hotspots. 3D Printed recyclable plastic, comes as standard in Grey but also available in black/white (see photos - choose colour when adding to cart). Uses an Open Source fork of Zimodem firmware by Bo Zimmerman - over the air firmware updates included. The firmware can be updated or changed to an alternative if needed. Standard 9 pin serial DE9 RS-232 connector (or 25 pin serial DB25 with the use of one of our adaptors here: www.simulant.uk/shop/9-pin-serial-DE9-RS232-connector-25-pin-DB25-adaptor). Supports all standard baud rates including 300, 600, 1200, 2400, 4800, 9600, 14400, 19200, 38400, 57600, 115200. 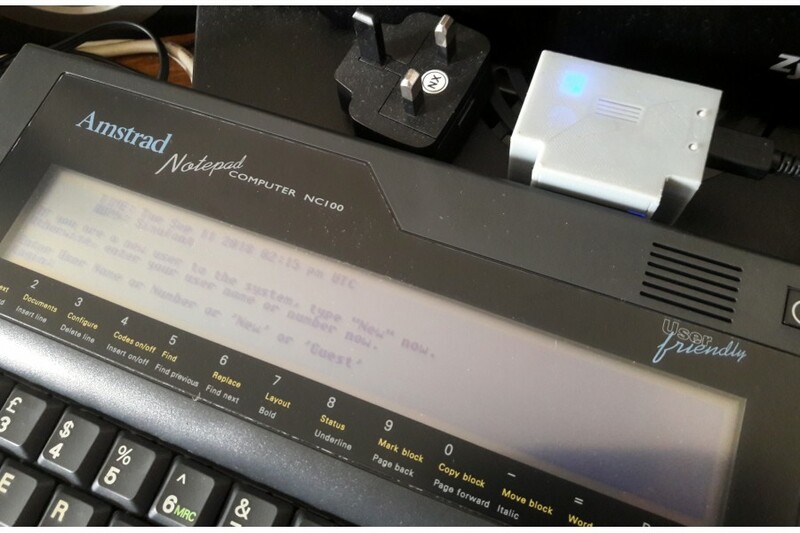 Emulation of a Hayes modem, using standard (and non-standard) Hayes “AT” commands. Configuration menu to connect to Wifi and save settings. 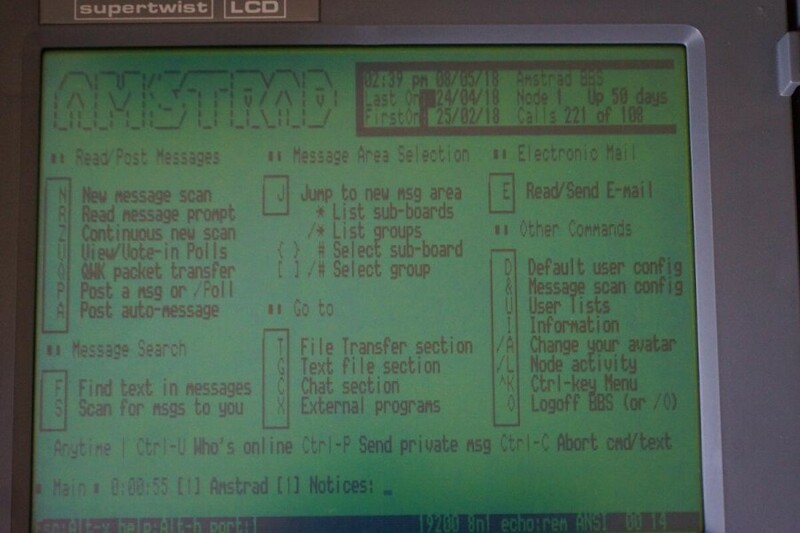 Built in Phonebook to allow saving frequent connections (such as Telnet BBS entries or connections to other devices on LAN). Software and Hardware flow control (including XON/XOFF and RTS/CTS). Uses 5v micro USB cable port for power (usb cable not included). A streaming serial "telnet" mode, and server/port listener capabilities. Will allow an old computer to act as a server or run its own BBS (3rd party software for your computer system will be required). Two top buttons, one of which is a reset button to reboot the device back into default 1200 baud for initial setup. The second button currently is a spare for future firmware updates but can also act as to put the device back into "flash mode" for manual firmware reflashes. 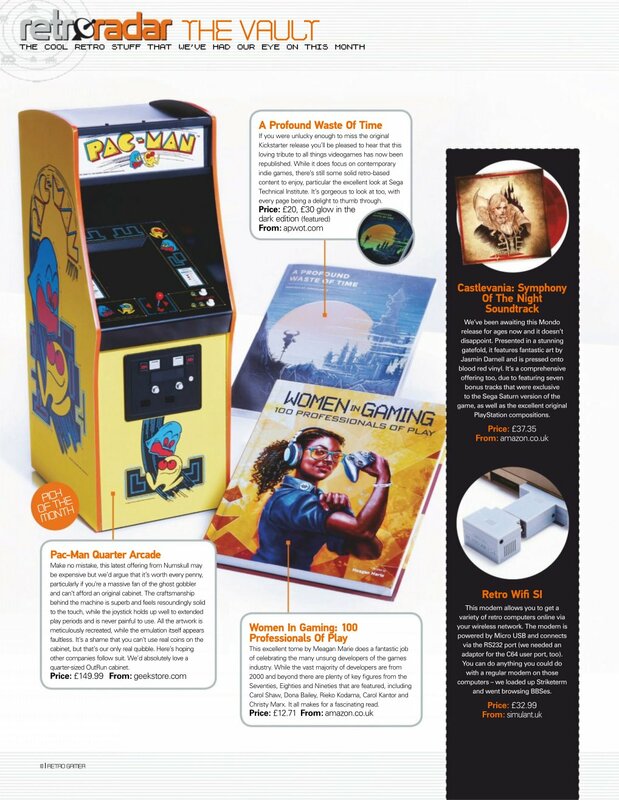 We have tested this in-house with Amiga 600, Amiga 1200, Amstrad CPC 6128, Atari 1040 ST and an Amstrad PPC640 (IBM XT compatible MS-DOS PC). See the screenshots and photos to see this product being used on those old computers. The Retro Wifi SI will work with nearly all old 8-bit and 16bit era computers with a serial port. This is because the Retro Wifi SI once plugged in emulates a Hayes compatible modem. To the computer or device it is being used with, it is just like plugging in a generic dialup modem which would of been compatible and available to nearly all old computers and PCs. 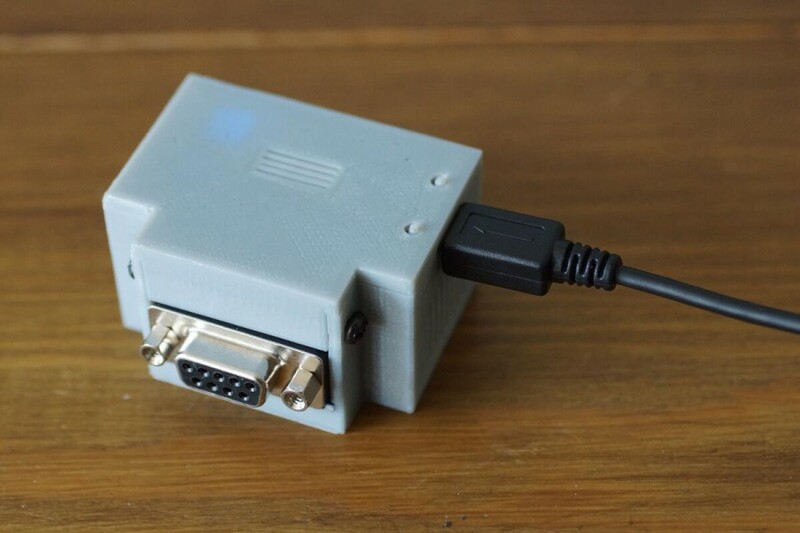 Some computers such as the Spectrum or Amstrad CPC for example may need a serial interface addon first (a PACE rs232 which will provide the serial port as an expansion for example), but if the computer already has a serial port then the Retro Wifi SI is likely to "just work". Plug the Retro Wifi SI into the serial port of your old computer. Connect a usb cable for power (from a phone charger plug or a nearby PC with usb ports). Power up your old computer and load up your Terminal application. Run the command at+config from the prompt to connect to Wifi. 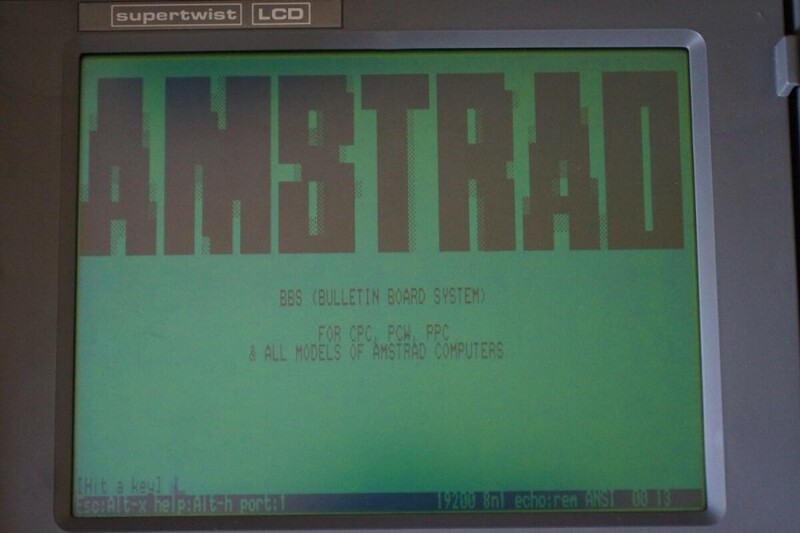 Then run atb38400 for example to set the baud to 38400 (we found this to be the highest reliable speed on Amiga) or whichever baud rate is required. From here you can also turn on RTS/CTS handshaking or whatever flow control to match your Terminal software. 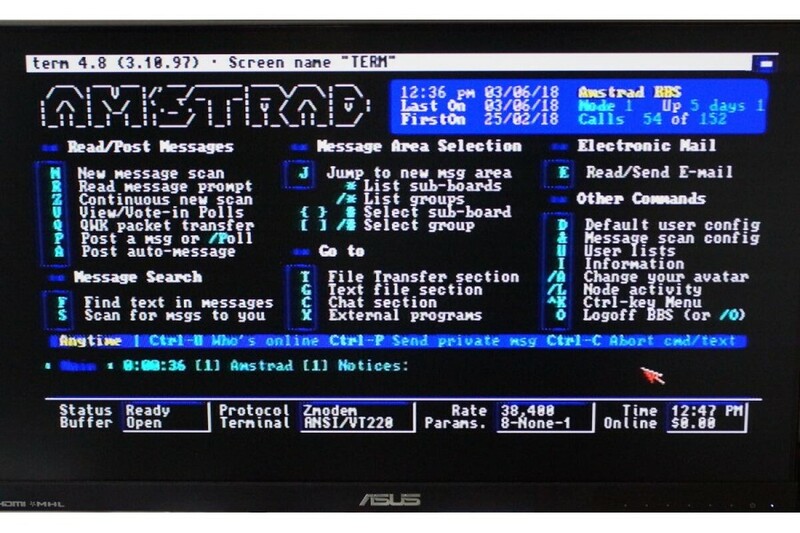 Finally set your terminal to match the new baud and then access a BBS or such with atdt"amstrad.simulant.uk:464" for example. How does the Retro Wifi SI work? Networking up older retro computers such as 8bit or 16bit computers is nothing new, it could certainly be achieved at the time these machines were available. Before the World Wide Web or Internet as we know it had developed, computer users would often connect to BBSes (bulletin board systems) using a dial up modem. When early Web Browsers became available and the Internet started to grow in popularity, dialup modems were still used as the main way to get online. Modems became faster and baud rates such as 56k were quite normal in most households or business offices. Hayes produced the Smartmodem which featured a control language for the operation of the modem functions via the standard computer serial interface. This led to most modem manufacturers adopting the Hayes AT command set for their own modems and Hayes AT compatible modems becoming the industry standard compatible with just about any type of computer available and terminal or dialup software (even still today on Linux, Mac or Windows PC!). The great thing about the vast Hayes AT modem compatibility that still exists today, is when the ESP8266 low cost Wifi microchip came along in more recent years from China, it meant the world finally had the possibility of connecting serial comms based devices to Wifi. Devices in factories or offices that had previously relied on older networking standards could now use wifi and retain compatibility. This also led to home-users being able to take advantage of this fantastic wifi chip and allow us to connect older PCs and microcomputers to the internet or to each other via Wifi. 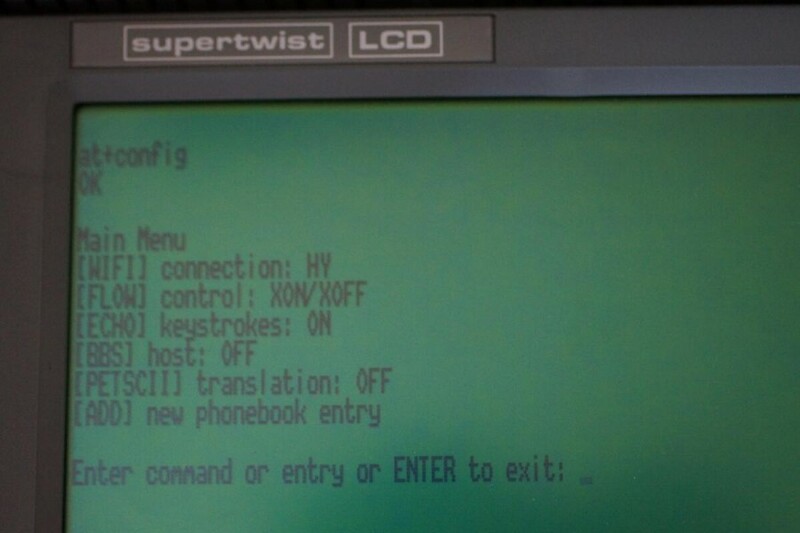 Bo Zimmerman created a custom firmware for use with the Commodore 64 that added additional AT commands and configuration setup features to improve what came with the stock ESP8266 firmware - the rest is pretty much history! So here we are once more, with civilization (and older computer users especially in this instance) standing on the shoulders of giants! The Retro Wifi SI is basically just a pre-built kit by Simulant which uses an ESP8266 board, a serial MAX3232 interface, our own custom 3D printed casing and Allen Huffman's firmware fork of Bo Zimmerman's Zimodem (other firmwares can be flashed, but the great thing about Allen Huffman's fork is that it makes the firmware fully compatible with the majority of old computers and less solely Commodore 64 orientated). 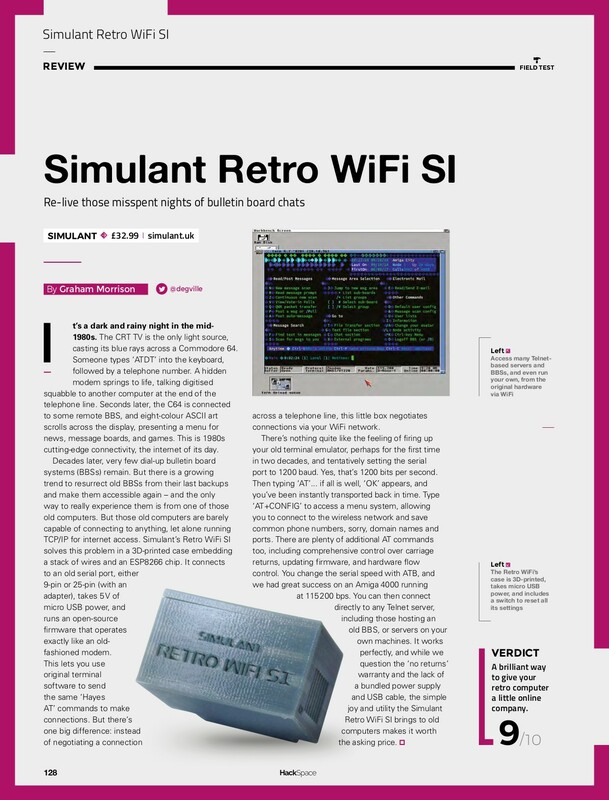 Our Simulant Retro Wifi SI product also aims to be a cheaper and more open alternative to the fantastic and feature packed Wifi232 by Paul Rickards. This is all put together, setup and firmware flashed ready to go in a tidy package for you to use to get your old computer online and connected to the internet via your own home WiFi LAN network, or even out at a public Wifi Hotspot or cafe! Please note that each unit is tested before it is shipped. We cannot offer returns, exchanges or any warranty if this product is damaged due to incorrect usage or as a result of plugging it into faulty equipment. This is due to this product being designed for use with old computers and vintage hardware that may be already faulty, in such rare cases this could cause problems with this device or render it defective. 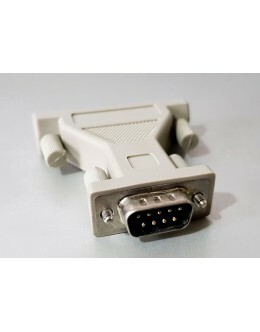 9 pin serial DE9 RS-232 connector to 25 pin serial DB25 adaptor.Can be used to change your computer .. 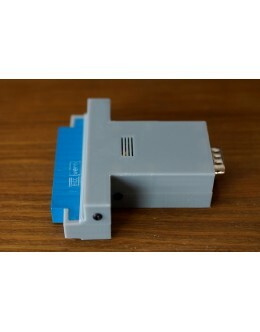 This Commodore 64 and/or Commodore 128 adaptor enables connection of our Retro Wifi SI or other 9 Pi..